A little about me, my PhD research and passion for participatory science and native bee workshops. I'm a PhD candidate in the Invertebrate Behaviour and Ecology Lab at the University of Sydney researching the resilience of pollinator networks in the city; with a focus on native bees in community gardens and urban bushland. I’m passionate about accessible, fun ways of doing ecology with community, and the role of participatory science in environmental justice. 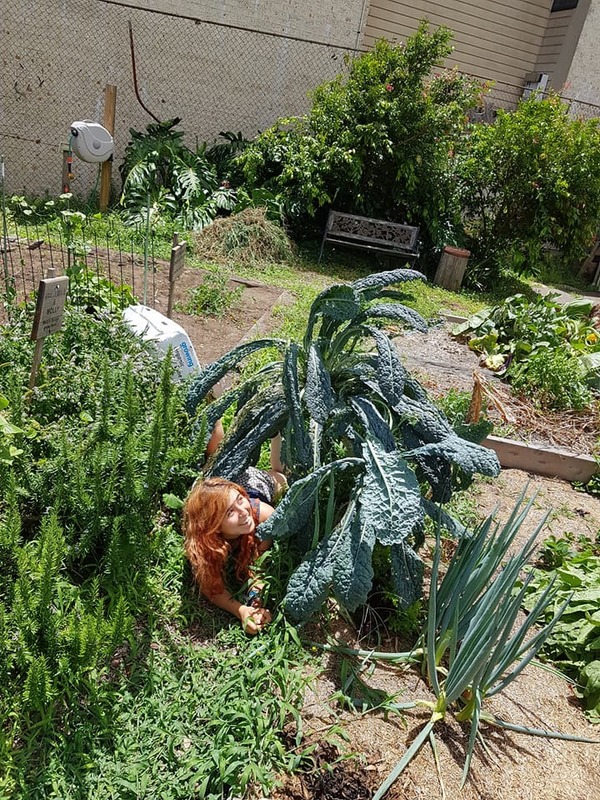 I am especially interested in the ideas of diverse communities, and how we can link doing experiments in urban agricultural spaces with powerful programs such as food, language and local knowledge exchange. I hope for the results of 'Cross-pollinating urban community gardens and bushland', a survey of native bees visiting flowers in Sydney community gardens and bushland, to inspire further research questions posed by the community.